My week began like any other vacation week. I had the week off from my work at the New York Philharmonic, and I had no urgent plans. Walk the dog, organize the papers piling up on my desk, practice my music, enjoy some time with my wife and hang out with friends--basically, I just wanted to enjoy my free days. But during my break, I received an email from a gentleman named John Mackey. He had viewed one of my videos and was writing to ask permission to post a link to it on his FaceBook page. The video was titled “Trombone Silliness,” which was created and posted in June of 2011 on my website, davidfinlayson.com. He thought that it was very funny and that it deserved a wider audience. That was when my week took a different direction. What I now know, is that as soon as he posted the link on Facebook, awareness of “Trombone Silliness" spread rapidly across the Internet. The initial post on Facebook was shared 25 times in the first nineteen minutes and was catching fire very quickly on social media sites. The Making of "Trombone Silliness"
The idea for the video emerged from my experience with GoPro action cameras, which I have used making home movies, driving in the car, recording my travels, and riding my bicycle around New York City. The video quality is wonderful, but I wanted to find a way to improve the audio quality of the videos. I decided to try replacing the GoPro’s audio with a recording of higher quality, which I would capture using an external recording device. This idea was nothing new. A GoPro camera attached to the slide of my trombone, while I played, would be just the thing to test whether this new setup would work. Because of the additional weight of the camera on my slide, I had to play something slow and easy. I chose from memory an etude from a Bordogni collection of vocalises. After once through the music, I popped the files in the computer and, with some careful editing, blended the better audio with the video. The whole project took me about 45 minutes to record and edit. I put the file on my cell phone and shared it with my colleagues the next day. The video got a few laughs, and some people suggested that I put it up on my website for all to view. The video sat there ever since, in a relatively cold, dark corner of the Internet, ignored for over a year and a half. I began getting emails from friends, colleagues and strangers that they loved the video, thanking me for the laughs it gave them. But one email I received got my attention, and it marked the beginning of a chain events that I am still trying to understand. The email’s sender claimed that he represented major news organizations in helping them control the use of proprietary video content on the Internet. In the email, he offered his company’s services to control unauthorized use of my video, and proposed the possibility of my making a few dollars off its broadcast on YouTube. He added that he would collect a percentage of the video’s advertising revenue. I responded to him that I was not interested in making any money off the video and that I certainly did not want to contribute to the proliferation of ads on sites like YouTube. My video was just fine where it was, at home, on my own website. At least, that is where I thought is was. The next email that I opened was from John Mackey informing me that his original post had 8,246 “shares” with 687 comments, that Huffington Post had recorded 70,000 views in 8 minutes, and that it appeared as if someone had pirated my video and posted it on YouTube. He wrote that the pirated video had received more than a million views in just one day. As soon as I read that, I checked YouTube for the video, but it had already been pulled, and viewers were getting the notice, “This Video Has Been Removed By The User.” My personal email account began to fill up with emails inquiring why the video had been removed from YouTube. Users on sites like Reddit and Gawker had posted articles about the video and the link to the unauthorized YouTube version. In hopes of stemming the tide of emails (well over a hundred) inquiring about the location of the first posting on YouTube, I decided to place my video on YouTube, with no ads attached. MSNBC, ABC.COM, The Rachel Maddow Show, RightThisMinute.com, WQXR, CNN's Distraction Channel on YouTube, NBC's "Good Morning Averica", as well as foreign news agencies were contacting me, requesting permission to use the video for their news programs and sites. A Tweet from the "Myth Busters" Adam Savage (1/6/2013 post) also helped to fan the fires of my silliness. I received an invitation to participate in a music festival in Spain, and a commercial venture in Greece requested use of the video. Social media references to the video abounded on sites like Twitter and Tumbler. The last time I checked, a Google search for “Trombone Silliness” produced results more than 50 pages deep. It was indeed a busy 48 hours for "Trombone Silliness." At the time of this writing, the video posted by me on YouTube has just surpassed 100,000 views in roughly 6 days and most of the comments have been favorable. The emails have slowed and it is unlikely that my YouTube posting will reach anything close to its initial one million plus views. However, traffic to the video on my personal website continues to increase and is inching toward 500,000 hits. Above, an article written showing one of the last places that the unauthorized video could be viewed on YouTube before it was removed. My posting was not made until January 8th. I still don’t know exactly who the person was who posted the unauthorized version of “Trombone Silliness” on YouTube. I probably never will. Should I really care? People have suggested that I should have YouTube look into the situation and file a complaint. YouTube has very strict rules for the uploading of unauthorized copyrighted material. On the positive side, friends that I have not heard from for decades have contacted me, and I have answered numerous emails from perfect strangers who share my love of music and something silly. I’ve enjoyed knowing that the video has made many people, perhaps millions, laugh, and I hope that it continues to do so amid these difficult times when the news offers us so little to smile about. American Pakistan Foundation is dedicated to expanding education, healthcare, infrastructure and entrepreneurship opportunities to the under-privileged people of Pakistan. Learn more atwww.americanpakistan.org. You can click here to contribute ANY amount directly to our beneficiary. Forward this e-mail with your own message to people in your personal network. Get 10% Off your entire purchase when you buy 5 or more tickets! 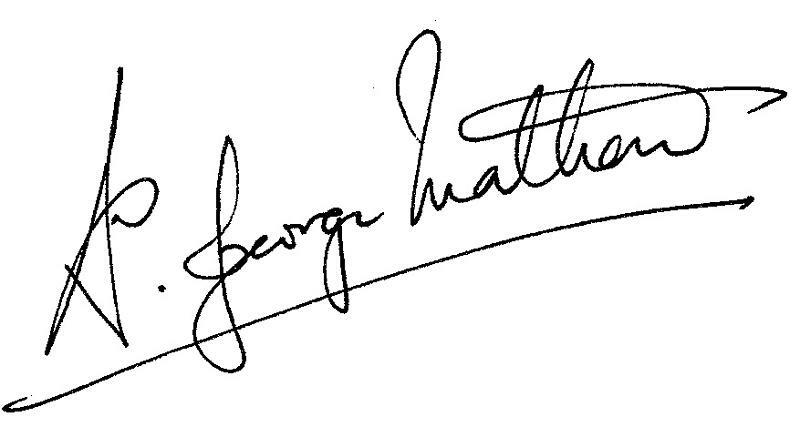 Write to Music for Life for a 10% off discount code to use online or by phone at the Carnegie Hall box office. I'm writing to you today to tell you more about how Music for Life International's next humanitarian concert, Beethoven for the Indus Valley, came to be. Our previous humanitarian concertshave not only brought together many of the world's preeminent musicians, but have also connected us with some of the most compassionate and influential organizations on the front lines of social change. We are proud to announce Acumen Fund, and its Founder and CEO, Jacqueline Novogratz as the beneficiary of Beethoven for the Indus Valley. Acumen Fund, a non-profit venture fund, has been investing in Pakistan since 2002, and established its local office in 2006. It has invested more than $11 million in organizations that are breaking new ground and is the largest and most recognized social investor in Pakistan, helping shape the conversation around how to focus on sustainable change. We are also pleased to announce a new co-presenter for Beethoven for the Indus Valley, American Pakistan Foundation. Visit www.americanpakistan.org to learn more about their services for the underprivileged people of Pakistan. Finally, I urge you to spend five minutes viewing this videofeaturing photographs from Jacqueline Novogratz's trip to the flood zones in October 2010. In Jacqueline's own words, "These facesare the best possible answer to the insane indifference so much of the world has shown in response to this crisis, which by any objective measure is one of the worst of this century." 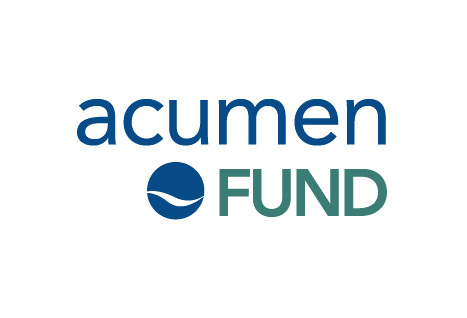 Acumen Fund is a pioneering not-for-profit venture fu nd that is changing how the world addresses poverty.Acumen Fund invests patient capital in businesses that deliver critical, affordable goods and services to the world's poor, improving the lives of millions. Since 2002, Acumen Fund has invested more than $11 million in Pakistan. Acumen Fund's Pakistan portfolio includes investments in affordable housing, drinking water solutions, health insurance and agriculture. Acumen Fund invests in innovative entrepreneurs who are change agents and is the largest and most recognized social investor in Pakistan, helping shape the conversation around how to focus on sustainable change. Acumen Fund has a strong and growing local community of supporters-partners, advisors and others who share its values and support the organization in realizing its vision of providing choice, not charity and dignity, not dependence. Acumen Fund's long-term vision is that one day, every human being will have access to the critical goods and services they need to make choices for themselves and pursue lives of greater purpose. Acumen Fund imagines a future where policymakers, governments, aid organizations, and corporations work in tandem to redefine the way the world addresses poverty. Jacqueline is a frequent visitor to Pakistan, often making several trips a year. She last visited Pakistan in September 2010 after the floods to understand the devastating impact and wrote about her experience, sharing individual stories from survivors and highlighting the incredible relief efforts being undertaken by many in the Acumen Fund community. She was recently named toForeign Policy's list of Top 100 Global Thinkers and Daily Beast's25 Smartest People of the Decade. Jacqueline is a frequent speaker at the Clinton Global Initiative and TED. As a contributor to Huffington Post, Jacqueline has written about the need to build communities in Pakistan. Click to see Jacqueline's presentation from TEDxKarachi in April 2010. See Jacqueline in person at Carnegie Hall on January 31. "When TED's Chris Anderson and I returned last week from our visit to Pakistan's flood zones, we couldn't get out of our heads the faces of the people we'd seen. They comprised the true treasure of Pakistan, the unlimited potential of what it means to be human, stuck in tent villages with no belongings and an uncertain future. We were astounded by the grace and dignity of so many who have lost all of their belongings, yet have the courage to move through another day, every day. Please stop what you're doing for 5 minutes, take a deep breath, and watch this video. And then share it widely. The world needs you more than ever. Thanks." I hope this video compels you, as it has me, to do what you can to help our fellow human beings endure this crisis. Take a moment today to buy tickets to the concert on January 31, make a donation to Acumen Fund if you cannot attend the concert, andspread the word within your own community about what we can do to help. I have always enjoyed playing John's music and find so much of it frightfully challenging. To learn more about this uniquely original composer, browse your way to his website John Adams. Don't miss his blog submission regarding audiences that bolt for the doors at the end of concerts: Speedy exit ramp for patrons. It's a hoot!! On Monday, January 12th, I will be performing in Carnegie Hall with many of my colleagues from New York and other cities to help raise money and bring greater attention to the global AIDS crisis. Below, you will find an appeal that can be forwarded to friends, family and other contacts. Simply copy and paste it into an email. On Monday, January 12, 2009, Carnegie Hall will be the site of an historic event: mahler for the children of AIDS, a global humanitarian concert of MAHLER'S THIRD SYMPHONY to raise funds and promote public awareness for global pediatric AIDS and the PREVENTION OF MOTHER-TO-CHILD-TRANSMISSION OF HIV. I find this cause so compelling that I am reaching out to my friends, family, colleagues and making a personal commitment. I invite you to help make this important event a success by purchasing tickets; inviting your friends and encouraging ticket sales via Facebook; make a donation of $5, $10, $50, $100 or more to the cause; and pass the concert on to family and friends. Imagine the impact if 100,000 people were to donate $5 each! Click here to donate now - http://support.cmmb.org/mahler Links to all of these opportunities are listed at the end of the letter. will feature a performance of Gustav Mahler's monumental Third Symphony. It will bring together many of the world finest principal orchestral musicians, all of whom are donating their artistry and energies, from the New York Philharmonic, The MET Orchestra, The Philadelphia Orchestra, Orchestra of St. Luke's, The Brooklyn Philharmonic, Buffalo Philharmonic, Minnesota Orchestra, some forty other orchestras and ensembles, and a chorus of women and children assembled from the Dessoff Symphonic Choirs and the Children's Choirs of the Cathedral of St. John the Divine and St. Ignatius Loyola as well as the great American Mezzo-soprano, Susanne Mentzer. Glenn Dicterow, beloved concertmaster of the New York Philharmonic will serve as concertmaster. Joseph Alessi, legendary principal Trombone of the the New York Philharmonic will be the trombone soloist and Matthew Muckey, the brilliant young Associate Principal Trumpet of the New York Philarmonic will be the Posthorn soloist. The concert will be conducted by Indian conductor, George Mathew, who has produced two previous humanitarian concerts: Beethoven's Ninth for South Asia and Requiem for Darfur(www.requiemfordarfur.org ). Today, every minute of every day, a child under the age of 15 dies of AIDS-related illnesses and there are approximately 15 million AIDS orphans around the globe. The beneficiary of the evening will be CMMB (Catholic Medical Mission Board) a leader in meeting the challenges of HIV and AIDS around the world, and a registered 501 C 3 non-profit organization. Please say "yes". Your leadership and generous participation will ensure the success of the event. * The rise of the fund-raising philharmonic supergroup.